Everyone wants to know what Laverne Cox has to say these days. 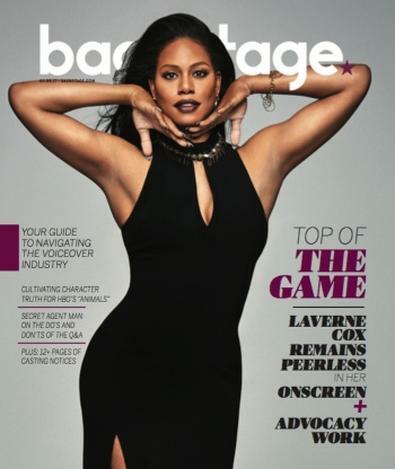 Since breaking out four years ago on Netflix’s “Orange Is the New Black,” the actor has become a household name for her career of “firsts”—she’s the first transgender person to be nominated for an Emmy; the first trans person to be on the cover of Time magazine (and now Backstage); and, on CBS’ legal drama “Doubt,” the first trans person to be a series regular on broadcast TV. In turn, she has become one of the leading figureheads in the fight for transgender equality. Look no further than the past few weeks. In addition to playing Cameron Wirth on “Doubt,” which aired its first two episodes Feb. 15 and Feb. 22 before getting pulled from the network’s prime-time schedule, Cox has hit the news circuit following the Trump administration’s Feb. 22 repeal of former President Barack Obama’s protections for transgender students. These protections allowed all students use of public school bathrooms corresponding with their gender identity. Because she is surely on news producers’ speed dial for a heartfelt, eloquent, and educational hot take on such matters, there are now viral clips circulating of Cox playing talking head on “The View” and MSNBC’s “Hardball,” speaking on the inhumanity of such legal setbacks. In her second of two interviews with Backstage, Cox says she puts her advocacy work hand in hand with her pursuits as an actor. She explains on a March 1 call from Los Angeles that she lends her voice to the plethora of trans rights issues to spread “empathy [and] compassion for other people’s stories and issues.” She approaches her work onscreen in the same way. 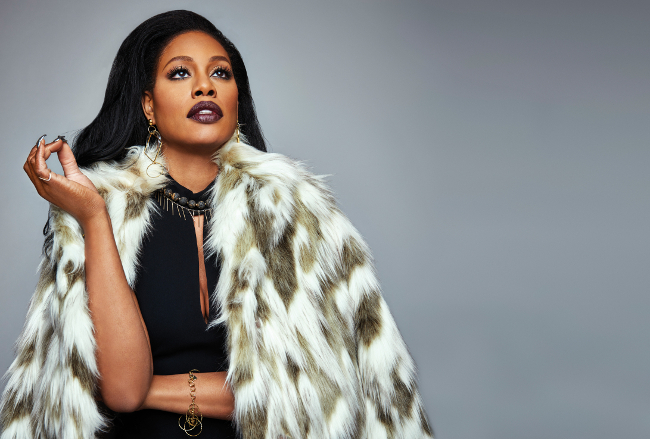 It’s a responsibility Cox took up in 2013 with “Orange Is the New Black,” which she saw as a platform to raise awareness about CeCe McDonald, a trans woman of color (and now prominent activist) who was tried and sentenced for manslaughter and incarcerated in an all-men’s prison rather than a women’s facility. McDonald served as inspiration for Cox’s Sophia Burset, and “Orange” became an opportunity “to talk about issues that were important to me,” she says. Her stand for CeCe continues today with the documentary “Free CeCe,” on which she’s an executive producer. Sitting over tea in the Lotte New York Palace the day after Valentine’s Day, Cox ruminates on her mission as an entertainer, saying that her career goes beyond acting to working for a future greater than herself. “When I began to understand that it was my job to be of service, to use being trans as something that was not a deficit that would keep me from acting [but as] something that made me unique and special, my career changed,” she says. In her status as a working trans actor, Cox isn’t quite an anomaly—but she’s close. With trans representation by trans talent currently on just a handful of series, including “Star,” “Transparent,” “When We Rise,” and, of course, “Orange Is the New Black,” equality is still a thing of the future, even in progressive Hollywood. She recalls submitting to casting directors who weren’t open to seeing trans actors, getting “horribly offensive” scripts, and dealing with misgendering issues on set. But she approached those obstacles with a steely persistence and, ultimately, zeroed her focus in on the work. In that vein of self-reflection and acceptance of circumstance, Cox says that her first piece of advice for aspiring actors touches not just on the obvious training, but the importance of self-love. It’s a simple enough sentiment first instilled in her by NYC acting coach Brad Calcaterra and his LGBTQ-focused class, Act Out, which allowed actors who’d often been told they’re wrong or inadequate to let go and to learn to trust their impulses again. While such a prospect certainly marks a future landmark in casting, another landmark came last year when Cox was cast as defense attorney Cameron Wirth on CBS’ “Doubt” and became the first trans actor hired as a series regular on broadcast TV. Its significance is perhaps what made the drama’s cancellation after just two episodes all the more deflating—but in a statement from CBS, the network plans to air the remaining 11 episodes at an undisclosed date. If the ups and downs of her early career taught Cox anything, it is to prepare for the unexpected and to roll with the punches. “This is part of show business,” she says. Case and point: In a surprise March 7 announcement, Cox was named co-lead alongside Meaghan Rath and Michael Cudlitz in ABC’s hour-long comedic pilot, “The Trustee,” from producing duo Elizabeth Banks and Max Handelman’s Brownstone Productions. “Get on with it,” indeed. Styling by Christina Pacelli from the Only Agency. Dress by Cinq à Sept from Rent the Runway, animal-friendly fur by Elie Tahari, necklace and bracelet by Haus of Topper, earrings by Laruicci, ring by Paige Novick.